Yesterday Intel held a press briefing to go over some of the PC client and mobile news from the show, but after the briefing Intel gave us access to their stage and camera crew to film our mobile show. I didn't make it out to Taipei until after WWDC, but Ian and Kristian have been on the ground all week covering the show. 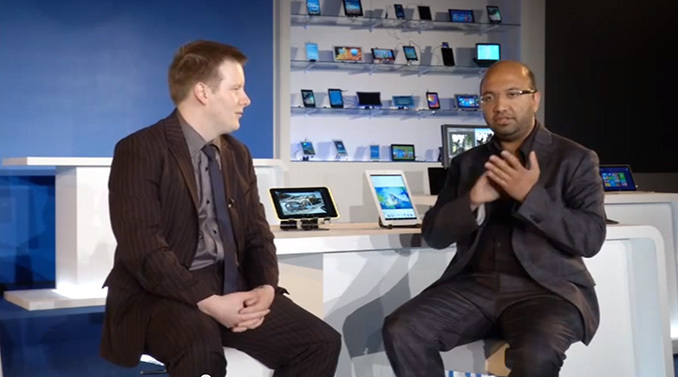 Ian joined me on stage for a quick recap of a lot of what's new in mobile. We went over Ian's experience with LG's G3, Intel's new Bay Trail Entry SKUs, the Rockchip deal, Core M, the WWDC news and a discussion about deeper gaming experiences in mobile. Some interesting discussion on mobile gaming.